For many of us, we have been on a diet or two in our lifetime. If you have been on a diet, you know it can be difficult to stick with your food plan. When you are running late and cooking is not an option, finding healthy food out is a challenge. If you are at a party or other event where food is served, more often than not, options for your diet are not very plentiful. Not to mention those times when you just want something yummy to snack on and you want to say, “To heck with this diet”. Have you found many snack foods that are “perfect” for your diet may be low in calorie but they are also low in taste? With the delicious Edy’s Outshine Fruit Bars, it is easy to stay on track with your diet. 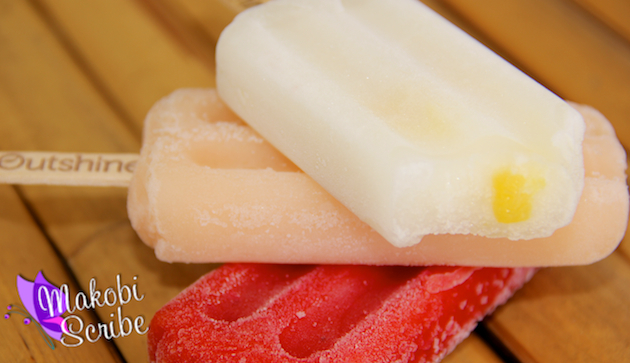 Outshine Fruit Bars have been bringing you delicious frozen fruit bars for more than 18 years. The frozen fruit bars are made with healthy ingredients from your favorite fruits like strawberries, peaches and coconuts. 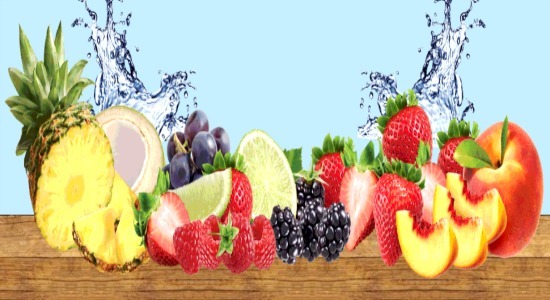 Not only do the fruit bars from Edy’s taste good, but they are good for you as well! In addition to making great products, the Outshine folks have been doing great things for communities all over the country. Their Communities Take Root program, which ended in 2013, had over 60 orchards yielding 88,000 pounds of fruit that were planted. Now Edy’s Outshine Fruit Bars has two new flavors they have launched in their limited edition Seasonal Picks line to help you stay on track with your diet. You can choose from Blood Orange, Grapefruit, Raspberry and Peach. The Seasonal Picks line are seasonal flavors inspired by the fruits from your local farmer’s market. The Grapefruit is as tangy and tantalizing as a fresh picked grapefruit from your local grower. This is such a refreshing and healthy snack choice which is perfect for an afternoon or evening treat. If you want to try these amazing fruit bars, they are only available in major retail stores only until December. Be sure to stay current with the latest from Outshine by liking them on Facebook. I would like to try Creamy Coconut. I would like to try coconut! I want to try the strawberry flavor! i want to try the creamy coconut! I would most like to try the peach or blood orange flavors. FIrst I’d try Peach or Strawberry. I like the Grapefruit bars! The lime bars are my favorite. Raspberry would be my flavor of choice! The Creamy Coconut sounds great! I’d like the AÇAI BLUEBERRY! I would like to try their Coconut Water…. but the Peach looks really good also. I definitely want to try the peach, but that grapefruit sounds interesting also. I’ll go with the blood orange!! I would like the blood orange popsicle! Its a tie between the Acai Blueberry and the Pineapple. I like the coconut but raspberry sounds good too. The strawberry flavor is my favorite! I would like to try the cranberry or lime. I’d like the lime or pomegranate. Both sound delicious! Tangerine is my pick since I like orange cream combinations. Blood Orange is my favorite, tropical fruit is my sons. I’d love to try any of their coconut waters! They sound so yummy, and I wouldn’t feel guilty at all eating them as a treat! The lime and the mango. Yummy! Oops. I read that wrong. I would like to try the Pomegranate. Creamy coconut is my favorite but I am eating a Lime one as I type. I’d love to try the Lime. I would enjoy the peach flavor.